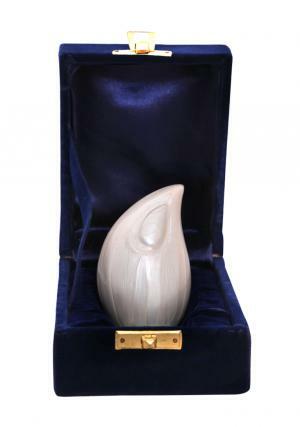 The brampton white teardrop keepsake memorial urn is hand made with solid brass metal and decorated in layer of white enamel with an engraved small curve of tear on the teardrop urn. 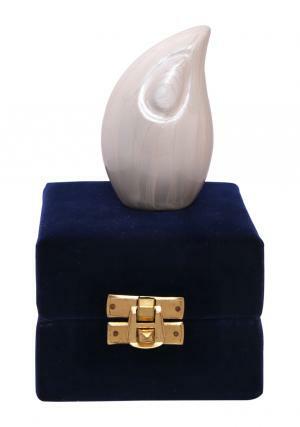 The teardrop urn resembles to a marble finish made from brass metal. 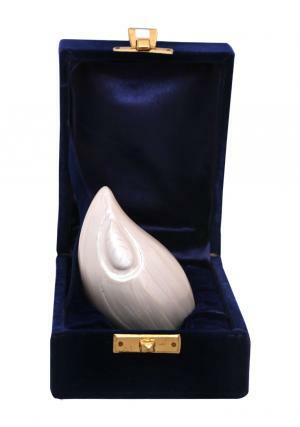 The teardrop keepsake memorial urn is 3.1 inch tall and weighs around 0.24 Kg. 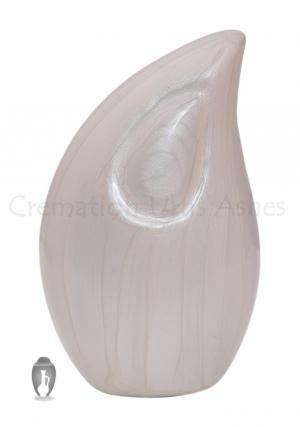 The keepsake teardrop cremation urn holds 4 cubic inch of ashes approximately.